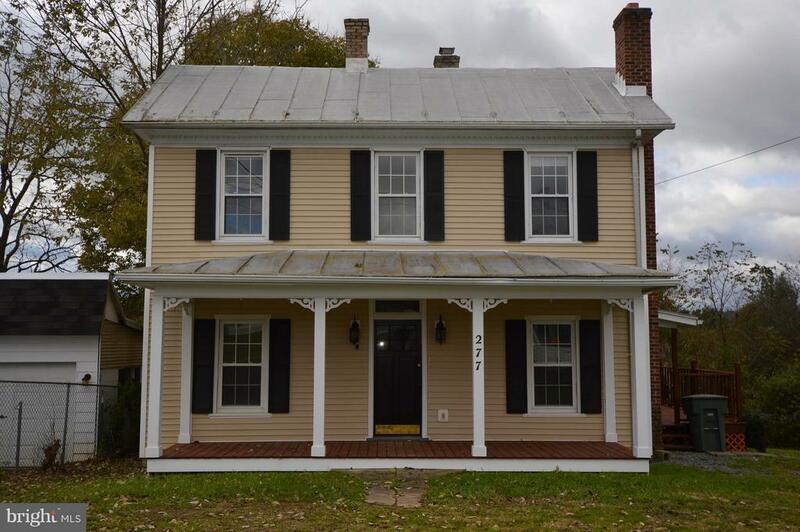 All Mount Jackson homes currently listed for sale in Mount Jackson as of 04/25/2019 are shown below. You can change the search criteria at any time by pressing the 'Change Search' button below. If you have any questions or you would like more information about any Mount Jackson homes for sale or other Mount Jackson real estate, please contact us and one of our knowledgeable Mount Jackson REALTORS® would be pleased to assist you. "95.6+/- acres with large Lake and ponds. Large brick home with many amenities. 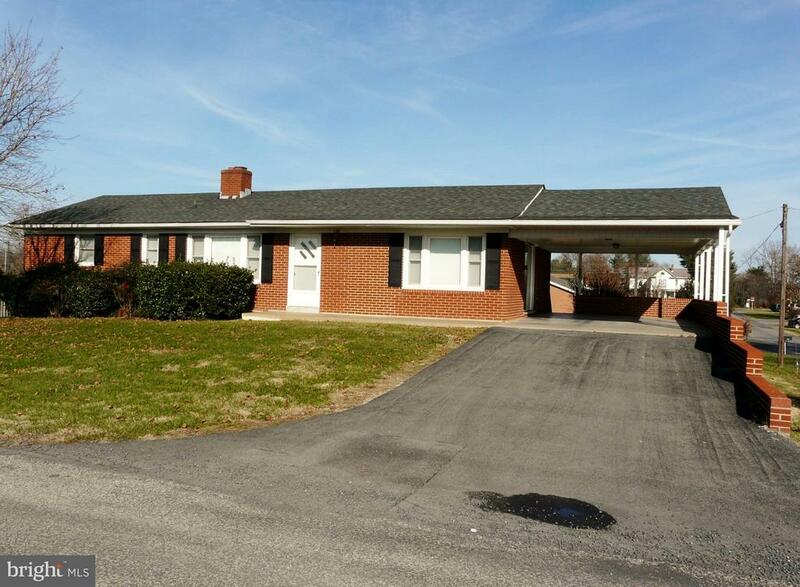 4 Br, 2.5 Bath Brick Home with seclusion. 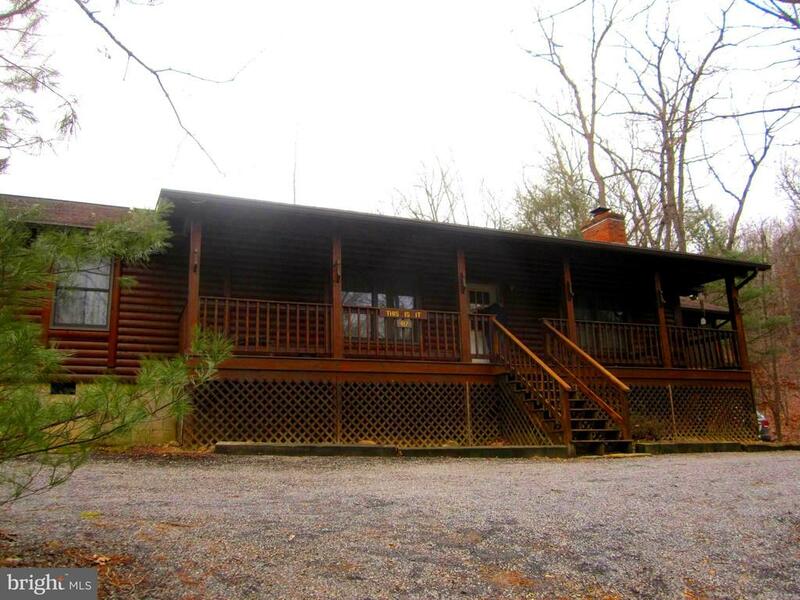 Excellent hunting and fishing on this property. 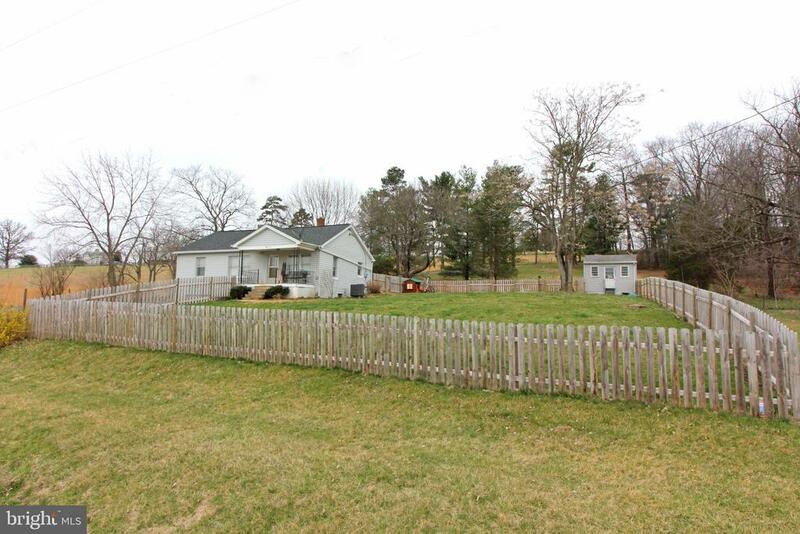 Property is basically level with plenty of room for Cattle, horses, etc. New Hot water baseboard oil Furnace.This is well built home but needs a few upgrades to bring it to life. Painter Creek runs thru the property. 2 car attached garage and 5 car detached garage for the car enthusiast. 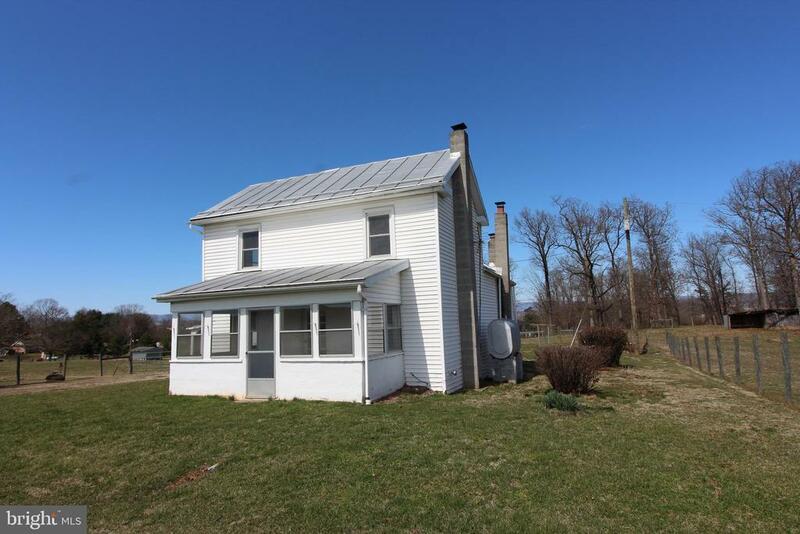 Large Bank Barn/ Large Block Shop-in Ground Pool to 8'Property includes 141.7+/- acres with the house THIS IS A VERY PRIVATE AND PEACEFUL AREA YET CLOSE TO ALL AMENITIES. PROPERTY IS OPEN WITH PINES PLANTED FOR SECLUSION. LAND IS SUITABLE FOR CROPS OR FOR BEEF CATTLE OPERATION. DON'T MISS AN OPPORTUNITY TO OWN THIS VERY DESIRABLE PROPERTY. OWNERS WILL ENTERTAIN SOME OWNER FINANCING TO QUALIFIED BUYER WITH AGREEABLE DOWN PAYMENT AT COMPETITIVE RATES. 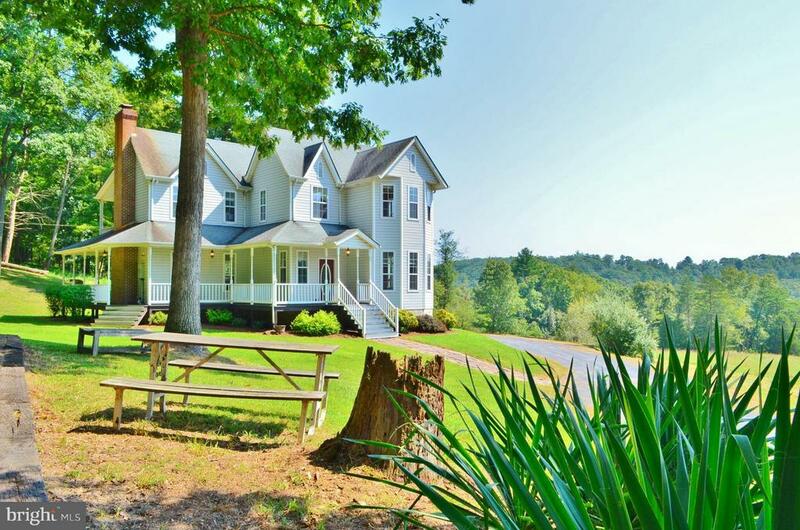 DOCUMENTED 17+/- ACRE LAKE ON THIS PROPERTY AND 2 OTHER LARGE PONDS." 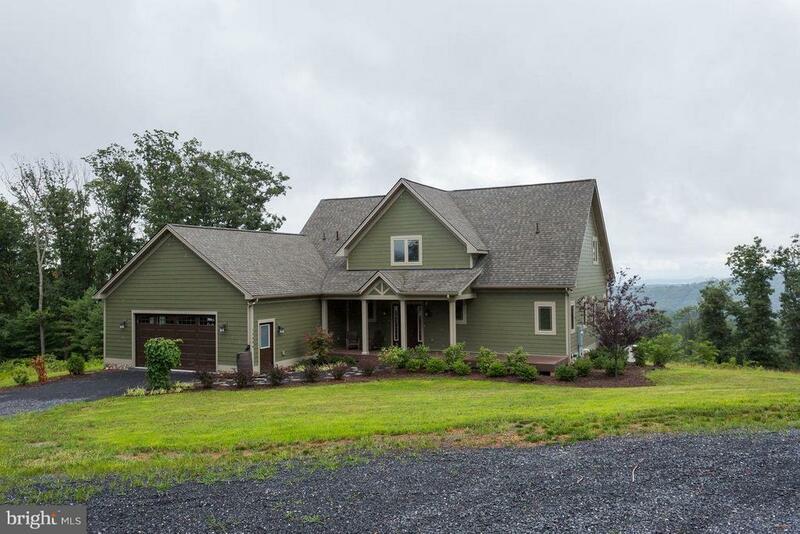 "An American Beauty - dreams come true in this home with views of the Shenandoah Valley over to the Massanutten Mountain Range!!! Serenity! Privacy! 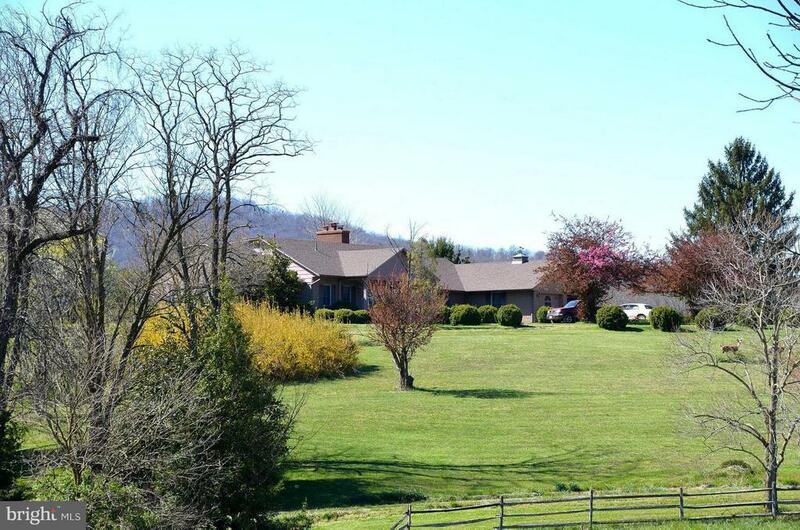 5 Ridges newly constructed, breathtaking views-120 acres! Hunting lodge? Family compound possibilities? Craftsman style with quality through out-must see in person! Spectacular-2 story panoramic windows!" "Back on the market - Buyer fell through - APPT ONLY - NO HOA - Includes HUGE /Garage or Airplane Hanger and Bush Field Runway plus an ADDITIONAL lot that perks for a three bedroom. A great opportunity to purchase a 125 Acre parcel of land w/newer Victorian in Mt Jackson- Post & beam barn & outbuildings.4+BR/3.1 BA-Sec Smart Home-Central heating- A/C Central -----Less land for sale if needed. Pond and Stream - Take your canoe out and enjoy the water." "If you only visited this property for the views, it would be worth the trip!! !You can see the Blue Ridge, Appalachian and Massanutten mountains from the property. Potential for this property is unlimited, untapped and unbelievable!! Grow what you know!!! 16,000 sf heated greenhouses with 11,265 sq with radiant heat in concrete floor. 1928 Barn, perfect for events, farming, live entertainment, animals..........again - such untapped potential!! 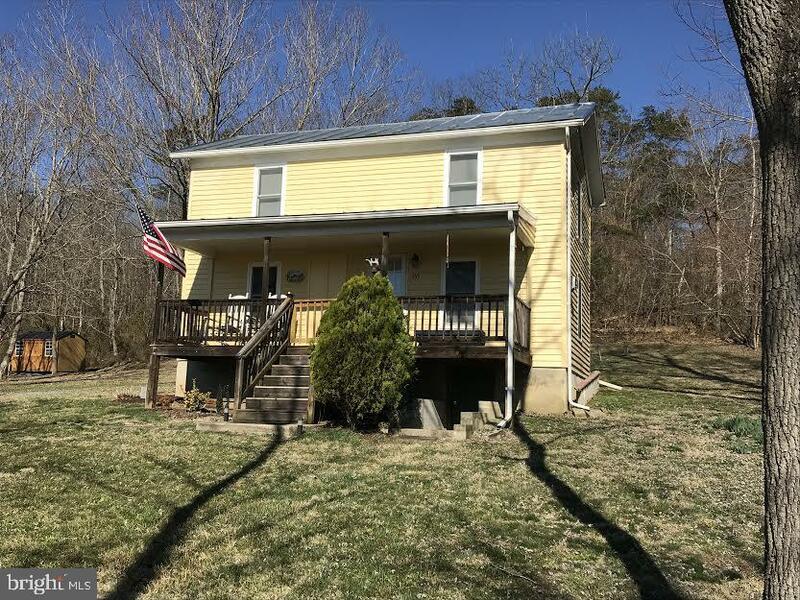 1906 farmhouse completely renovated (in period fashion) with a full kitchen, two main level master suites, a full bath, 2nd master can be returned to original Dining Room, mud room, laundry, etc. added on in 1995 to increase this lovely home to 3,771 sf. The greenhouses are innovative and well ahead of the current hydroponic growing! The radiant heated floors, the plumbing (each growing row can be on or off) Property is eligible for Organic Certification . Amazing growth and income producing property. 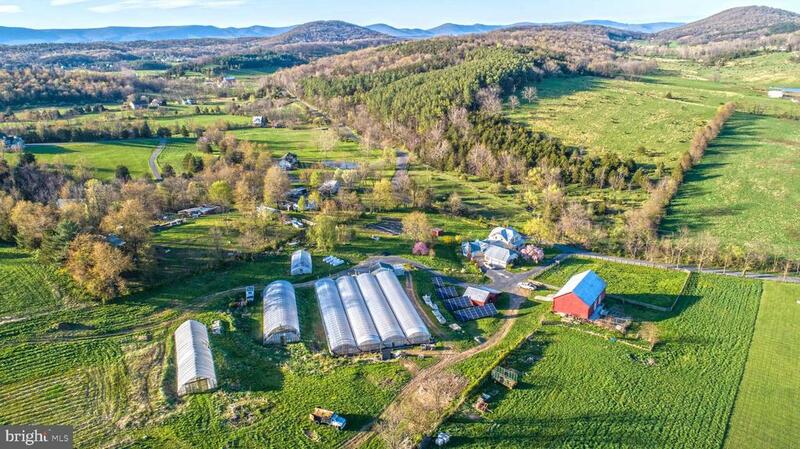 With new laws in March of 2019 the potential for vineyards, hops, hemp, hay, flowers, herbs, micro-greens, and expansion of produce varieties is a big deal for this prime growing area! The Sinclair Farm is well known for it's innovative farming techniques. This husband and wife team have created a self-sufficient oasis! Sustainable agri-tourism and agri-business potential is endless! Eco-friendly, farming practices. 19.5 KW solar system delivers approximately 30% of the farm's electrical needs. An integral component of the Farm's Water Management System is a 20,000 gallon water reservoir system which collects rain water runoff from the 17,500 sf of greenhouse tops and then may be utilized for drip irrigation to field crops, thereby protecting and maintaining the integrity of the Chesapeake Bay Watershed. Again, the income producing potential of this property is monumental! Bed & Breakfast, Events - the barn - the barn is amazing!!! It lends itself to live music, dancing - no center poles to allow ease of equipment to move in "
"This spacious, yet inviting, open floor plan home is minutes away from Bryce resort - golfing, skiing and more.The original farmhouse sits on this 16+ acre property, amidst breath taking views. There are several out buildings. This home has a 3 car garage and central vacuum. Master suites upstairs and downstairs. Laundry hook up - upstairs and downstairs. By appointment only." "Back on the market - Buyer fell through - APPT ONLY - NO HOA - A great opportunity to purchase this property two ways: You choose 125 Acres with home -Airplane hanger and bush runway $749,000 - or - 40 acres and home for $499,000 Newer Victorian in Mt Jackson- Post & beam barn & outbuildings.4+BR/3.1 BA-Sec Smart Home-Central heating- A/C Central. Your own pond and stream. Just a peaceful setting but close to Bryce Resort and Mt Jackson." "Historic well maintained, Victorian home w/ 2 guest cottages perfectly situated on 6.5 acres fronting Mill Creek currently used as Bed & Breakfast. Gorgeous grounds, in-ground pool, full front porch. Furnishings are negotiable. Each room has private bath. Just mins to Shenandoah River & Bryce Resort!" "Furnished and supplied well-built home just minutes to Bryce Resort. Double decks overlook small pond with fishing. Hiking paths on the 7+ acres. Three bedrooms in main house with bonus room in basement separate from laundry. Detached 2 car garage with studio apt for income potential or Guest Suite. Full bath in studio apt as well as a cedar closet in garage. Come see! All sz approx." 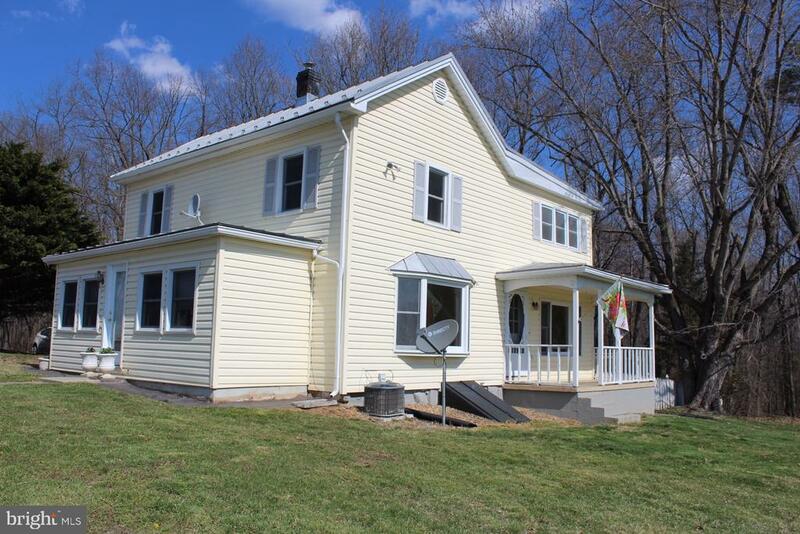 "A BEAUTIFUL NEW PRICE FOR A CHARMING HOME! The main level features a great room that opens to the beautiful, private deck and screened porch. You'll find a master suite plus 2 add'l bedrooms, all sunlit and airy. The large lower level family room opens to the covered patio and is perfect for exercise or relaxation by the fireplace. Nice, private location, but convenient to all Bryce amenities." "Come home to the farm. 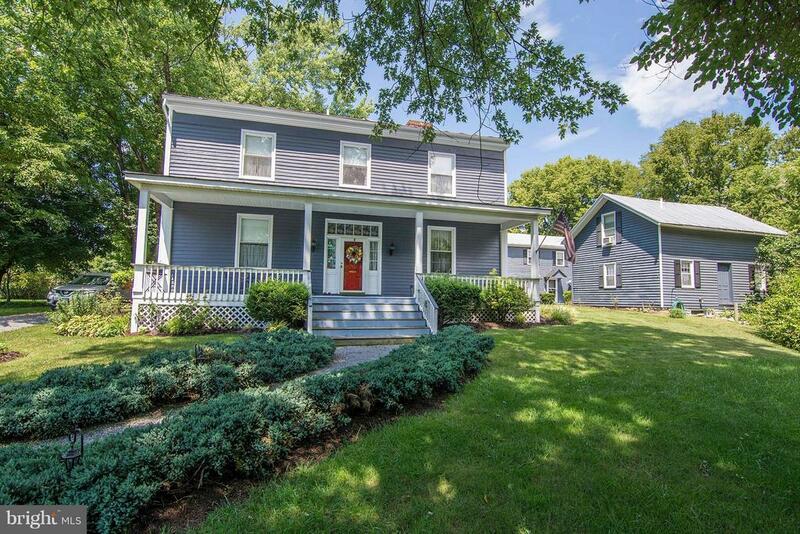 This lovely, classic farmhouse style home with 4 bedrooms, 1.5 baths and updated kitchen is ready for new owners. Views to die for from the side porch. Living room, dining room and den all have nice wood floors are are freshly painted. With 4.4 acres, you can bring your animals"
"REDUCED PRICE! NEW CONSTRUCTION in beautiful Bryce Mountain. 3 bedroom, 2 full bath, 1 half bath. Dining and kitchen combination. Custom woodwork throughout the home. Open floor plan into living room. Large family room in basement with wet bar. Full bath and 2 bedrooms in basement. 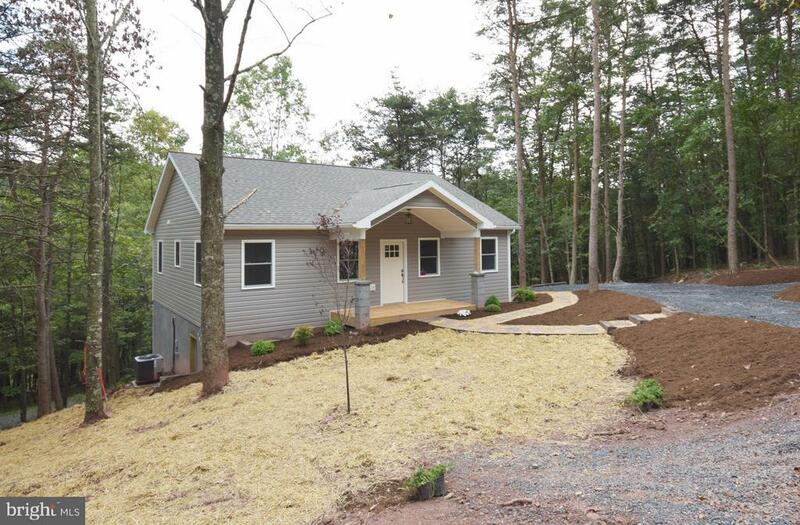 Come and enjoy quiet in the woods in this new home." 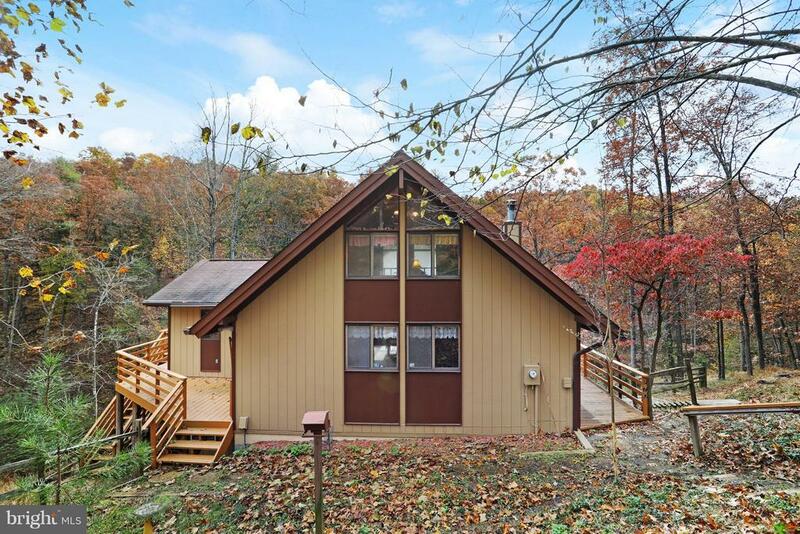 "Well-kept Contemporary Home in Wooded Setting of Shenandoah Ski & Hunt Club, perfect as a Weekend or Full-Time Living! 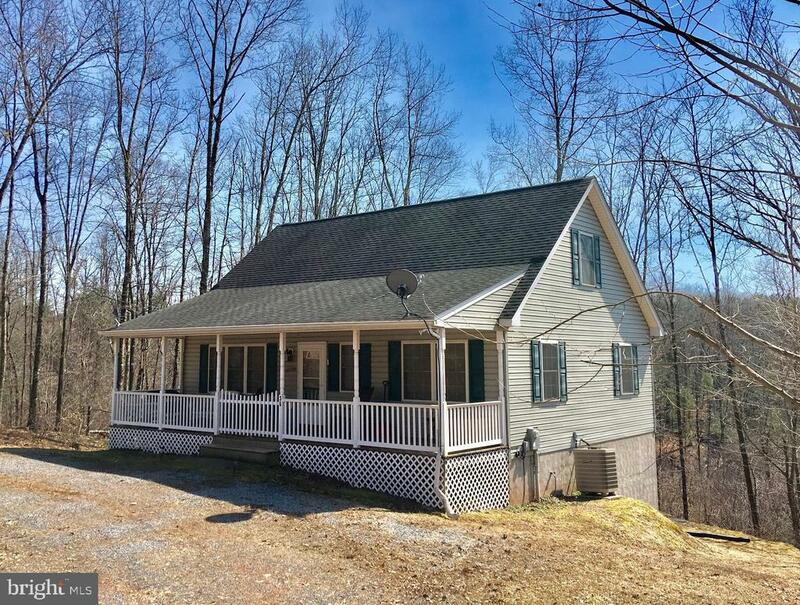 Being just 9.7 miles to I-81 & 3.2 mi to Bryce Resort, this 3 Bedrm/2 Bathrm Home features Open Main Lvl Living Space w/ Vaulted Ceilings & 2nd Story Overlook,Seasonal Views from Rear Deck,& Unfin.Walk-Out Basement w/Rough-In for Bathrm. Most Furnishings Convey. >> A CLOSER LOOK >> Circle Driveway to Main Entrance on Covered Front Porch - MAIN LEVEL - Entryway to Living Room/Kitchen/Dining Area (Open Space) with Vaulted Ceilings and 2nd Level Overlook - Kitchen with Breakfast Bar and Adjacent Dining Area with Exterior Rear Door to Deck - Main Level Hallway to Bedroom #2, Bedroom #3, and Full Bathroom #2 - Stairway to Upper Level off Living Room - UPPER LEVEL - 2nd Level Overlook Sitting Area with Doorway to Master Bedroom Suite - Attached Full Master Bathroom and Large Closet - BASEMENT - Full Unfinished Basement with Walk-Out to Rear Yard and Laundry Area." "MT JACKSON - IN TOWN LIMITS ONE OWNER CUSTOM BUILT BRICK RANCHER W/ FULL UNFIN WALKOUT BASEMENT, 1350 SF, 3 BDRMS, 1 FULL BATH, FP IN BASEMENT & HALF BATH, CARPET THRUOUT OVER HARDWOOD FLRS, REPLACEMENT WINDOWS, ROOF ONLY 5 YRS OLD, SINGLE OVERSIZED CARPORT, REAR COVERED PATIO, INCLUDES ADJOINING VACANT LOT W/ LARGE STORAGE BUILDING W/ ELECTRIC, CENTRAL A/C & OIL HEAT, ALL APPLIANCES & CENTRAL VAC, VERY CONVENIENT TO BANKING, DINING & SHOPPING. EXCELLENT CONDITION." 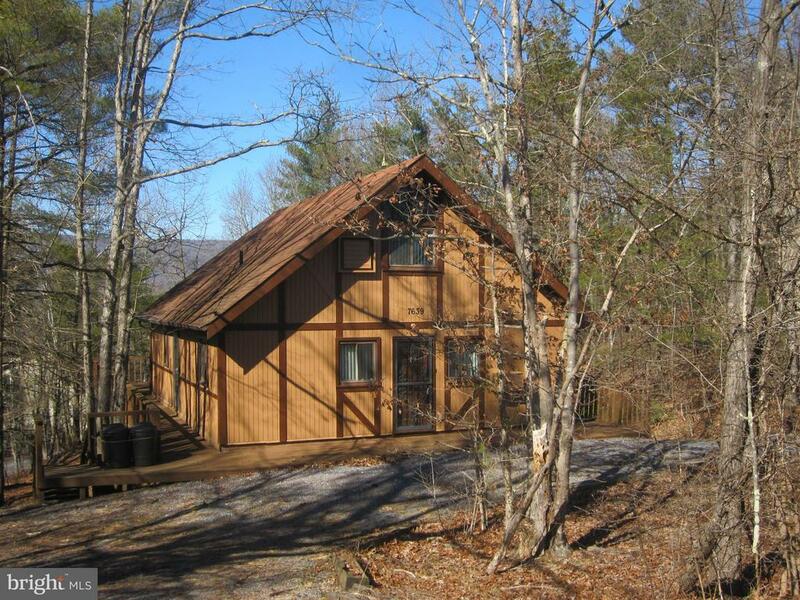 "This wonderful, authentic, mountain Log Home has one level living,Open Floor plan, Stone Fireplace, Master Suite with a working Jacuzzi Tub and Shower and Walk in Closet, an extra large driveway with level parking and just a few steps to front deck and front entrance. The screened porch on the large side deck is very private for a get-away area." "Cozy Farm Home on 8+ Acres! Dreaming of a peaceful get-away or private retreat? This property, comprised of two separate lots, may be just for you. Take a look at this nicely renovated 1 bedroom, 1 bath home with fully equipped kitchen and family room with Jotul gas stove. The second floor master suite with full bath even has a laundry area. The front porch will be the perfect place to sit and take in the pasture and mountain view after your hike through the woods on the trail called Daisy's Way. The septic system is approved for 4 bedrooms in anticipation of an addition or the construction of a second dwelling. There is even a very old 2 story log structure on the property that will keep you fascinated with ideas for it's future use. The property location is minutes from Bryce Resort skiing, golfing, swimming, canoeing and local vineyards & breweries. You will enjoy the convenience of being a short drive from the historic towns of Woodstock and Edinburg with shopping, restaurants and medical facilities. It's just 90 minutes from the Washington area, so come take a look. 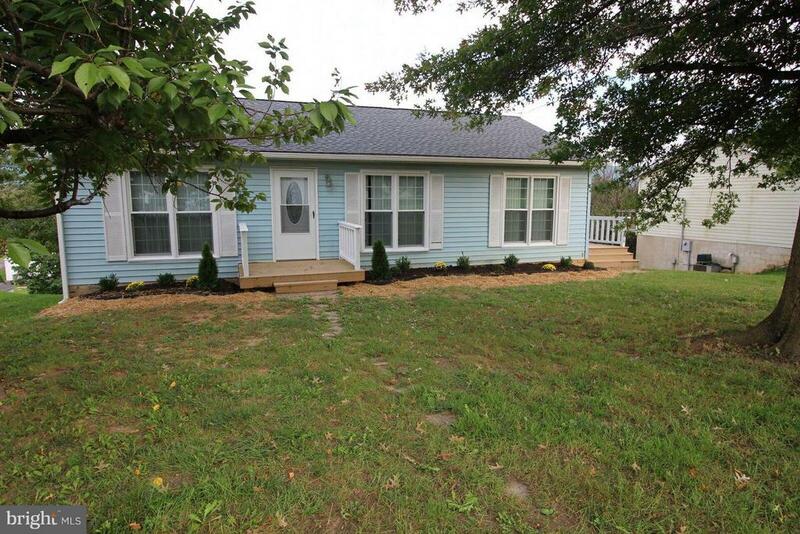 Priced nicely at $179,000"
"Completely remodeled house with new windows, new flooring and new kitchen. 4 bedrooms 2 baths with walkout basement. Great location for easy access to Rt. 11 and I 81." "Beautiful house, waiting for you to call it home! Home boasts hardwood floors in all bedrooms, living and dining rooms. New vinyl in both bathrooms, new counter tops and cabinets. Deck has been power washed and stained. Replacement windows through out! Great location in the beautiful town of Mt Jackson, close to all amenities! Call today to schedule your showing to see what this home has to offer!" 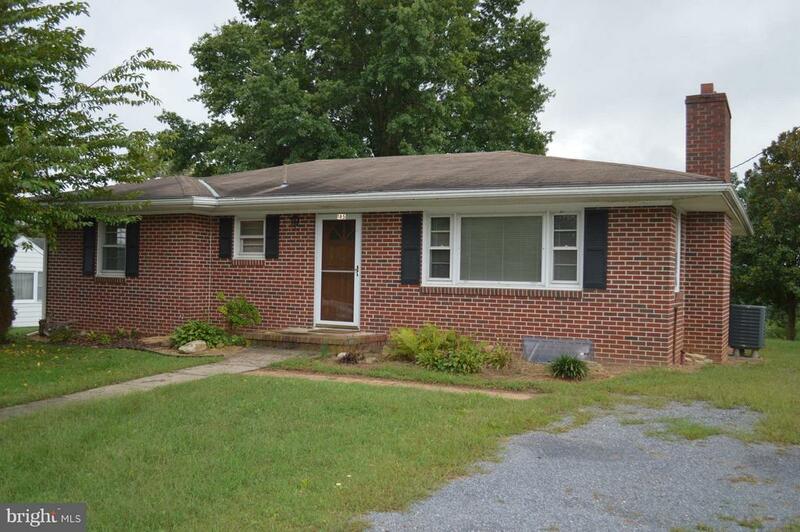 "JUST REDUCED All Brick Ranch south end of Mt. Jackson with large back yard & shed. Trex deck and cement patio on back of Home. 2-large bedrooms with hardwood flooring. 1-full bath. Large Living Rm. with Brick wood burning fireplace and Hardwood flooring. Kitchen & Breakfast room. Full unfinished basement. Walk up basement entry. Easy Commute." 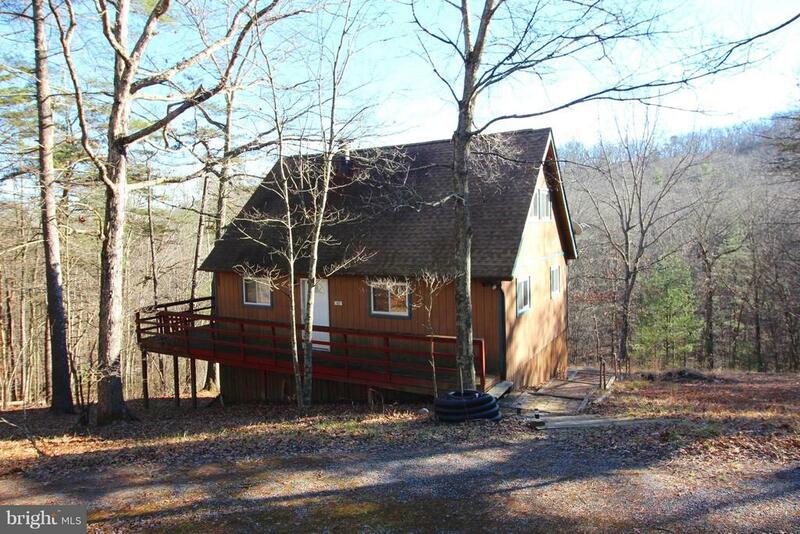 "This great Family getaway, 5 BR/2BA, 2519 sq ft, open floor plan chalet has a circular driveway, no step entry, a second driveway from another road opening to a flat back yard with lot's of additional parking and entry to a large screened porch. The front door enters through a hall to a very large, high ceiling, open space with a living, dining and kitchen looking out onto an extra large deck with winter ridge views. Down stairs is a large getaway room with entry to the screened porch and the back yard. The 2 wood burning fireplaces add the ambiance for a cozy family gathering"
"The Bear's Den is a beautiful cabin at Bryce Resort on a nice corner lot with Mountain Views. With 4 Bedroom and 2 Full Baths this is a great home for anyone looking to get away and leave the worry behind. Seller has refurbished this home with NEW windows, Composite Decking, fresh paint, flooring, light fixtures, bathrooms and MORE! This home is a no-brainer for those looking to move right in and relax. The wood burning stove will warm the house during the cold months and there's a mini-split system to cool the Great Room. Every room is bright and clean! House comes furnished and decorated with just a few personal pieces being removed. Crawl space is enclosed for great storage. Don't miss the Bear's GEM!!" "Motived Seller! Charming Bungalow on 1/2 acre. No HOA. Views. Full, dry basement. New Roof. Central Heat/Air, Hardwood floors. Country Kitchen, Cute building for gardening tools or playhouse, etc. Fenced for pets. Add your personal touches to this charmer." 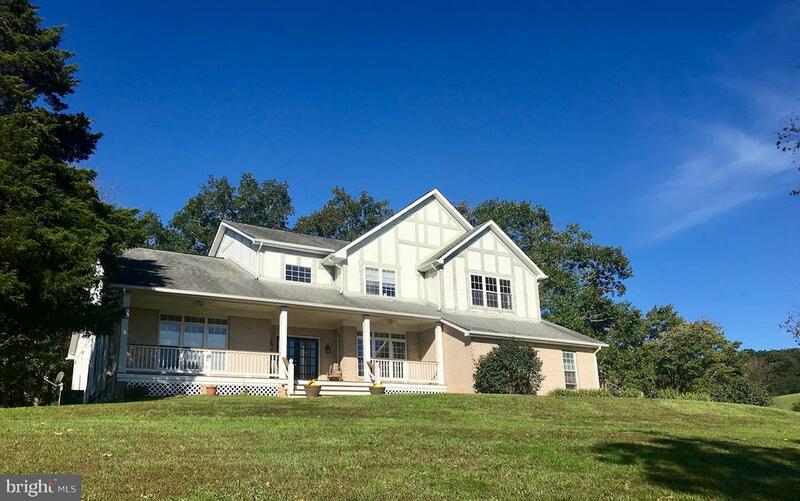 "Farmhouse on 3.5+ acres. Originally one room log home that has been added to. Replacement windows. Barn and other outbuildings, fenced and ready for your animals. Road frontage. AMAZING VIEWS!!" 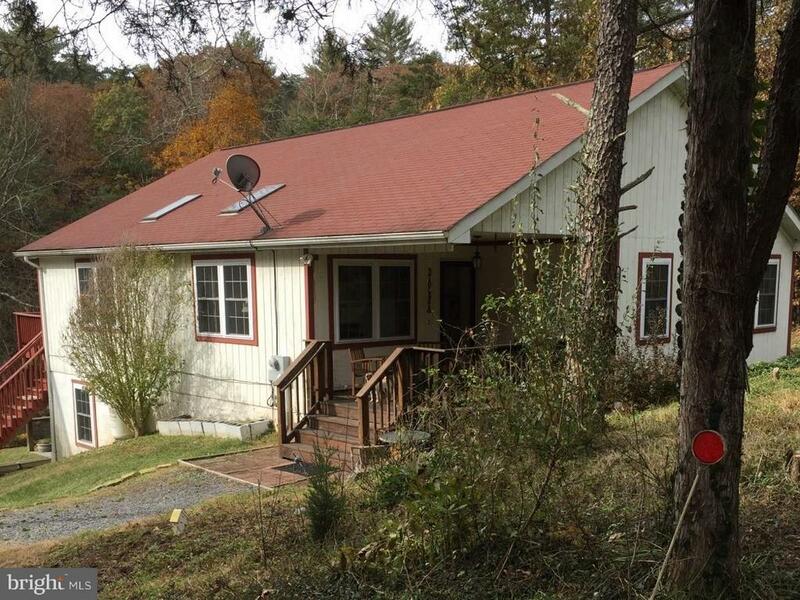 "Gorgeous upgraded Cabin on 3 acres with 3 Bedrooms and 2 Full Baths recently remodeled! Featuring a new kitchen with granite countertops, nice island, stainless steel appliances, new cabinets, open floor plan, living room with woodstove, dining area, 2 spacious bedrooms on main, bathroom with tile flooring, master suite upstairs to include spacious bedroom, bathroom with tile floors. HVAC system only 1 yr old, Large deck to enjoy the wildlife! This is a must see, only minutes to Bryce Resort!"